Suntrip will surprise you again with the best melodic Goa trance anno 2009! 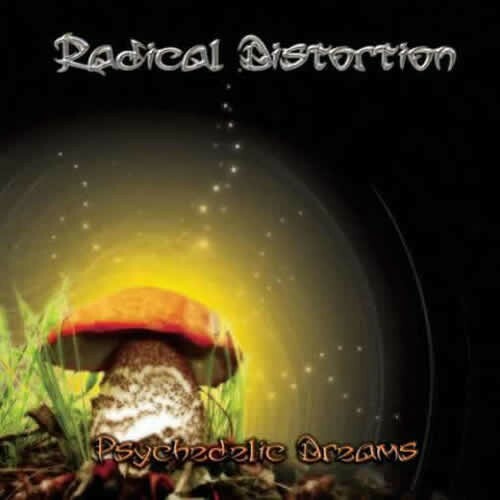 This time we are proud to present the first full Goa-trance album from Radical Distortion called Psychedelic Dreams! Pure powerful melodic bliss!Radical Distortion are two Greek guys who are active for over four years. And they already have a strong background; Lately they became really popular and were released on almost every possible melodic Goa-trance compilation! And before that they had released the albums Purple Energy and Regenesis on Unicorn music.During their musical explorations, their style greatly evolved and can now be described as ultimate oldschool Goa trance with crazy 303 organic acid soundscapes, ecstatic sound effects, energetic analogue pumping basslines and real psychedelic melodies!Radical Distortions third full length album is called Psychedelic Dreams. Dreams that should bring us back to the golden times of psychedelic trance which offered us so much spirit and love. No wonder youll recognize the influence of the best Goa trance artists from the 90s in the 10 tracks. This album is a tribute to them!As usual, this album was mastered by Tim Schuldt!And although the summer is almost over now, this album is your chance to let the feeling of every summer festival enter your house again! Enjoy!